The field of mathematical psychology began in the 1950s and includes both psychological theorizing, in which mathematics plays a key role, and applied mathematics, motivated by substantive problems in psychology. Central to its success was the publication of the first 'Handbook of Mathematical Psychology' in the 1960s. The psychological sciences have since expanded to include new areas of research, and significant advances have been made in both traditional psychological domains and in the applications of the computational sciences to psychology. 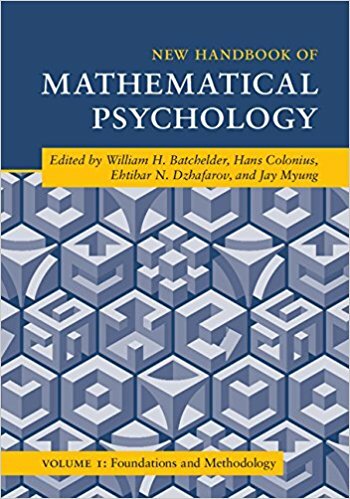 Upholding the rigor of the first title in this field to be published, the New Handbook of Mathematical Psychology reflects the current state of the field by exploring the mathematical and computational foundations of new developments over the last half-century. This first volume focuses on select mathematical ideas, theories, and modeling approaches to form a foundational treatment of mathematical psychology.